in partnership with Walk High Country. The alpine region is an undulating wonderland. 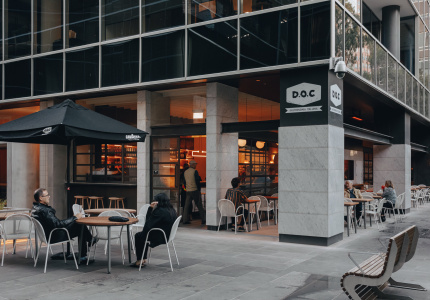 In partnership with Walk High Country, we highlight some of the best walks and activities – and where to refuel afterwards. The Victorian High Country around Mansfield and Mt Buller is a bushwalker’s paradise. The closest true alpine area to Melbourne, you can get there in a few hours without breaking a sweat. While skiing is the major winter activity, once the snow melts the landscape comes alive with blossoms and wildlife, ideal for walking. 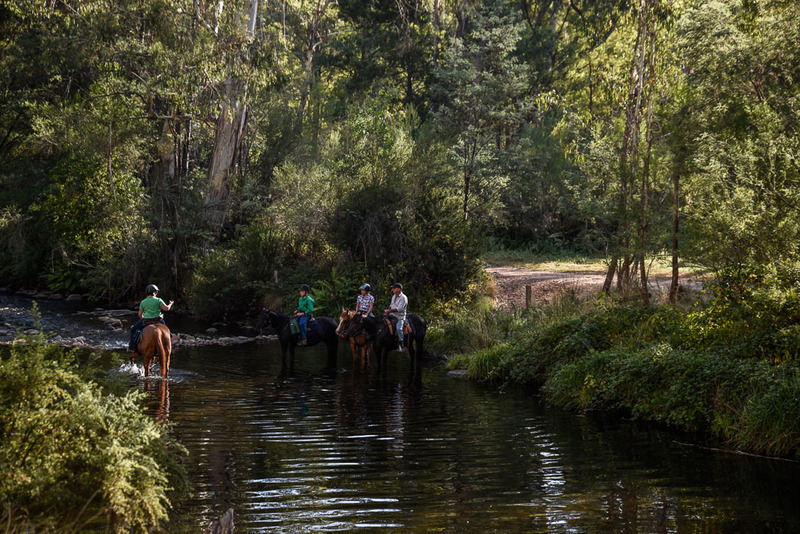 Spring and autumn are the best seasons for hiking, but even at the height of summer you can find respite at the top of Mt Buller or down among the manna gums in the gold-tinged Howqua River. 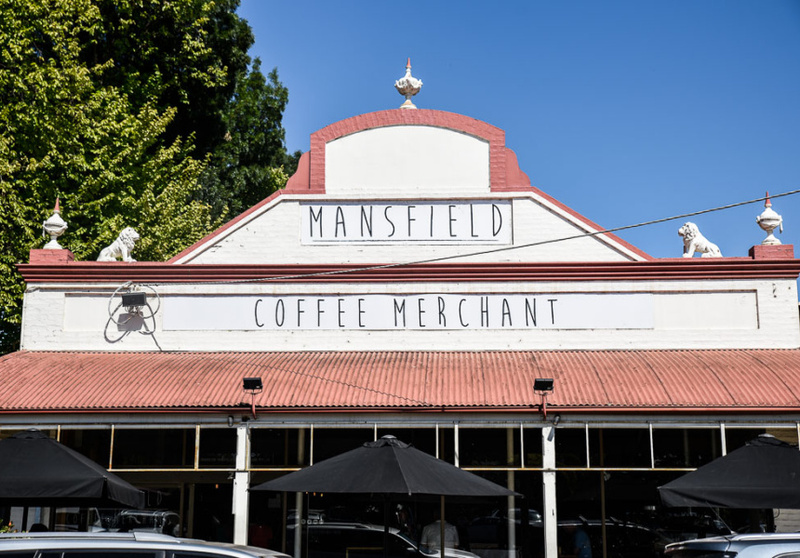 The former timber town of Mansfield has boutique wineries, microbreweries and cafes serving some of the best coffee and local produce you’ll find anywhere. 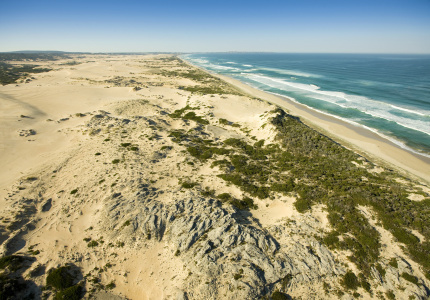 With its winning combination of back-to-nature adventures and urbane comforts, it’s the ideal base for exploring the local region. Here are our top picks of the area’s trails and activities. 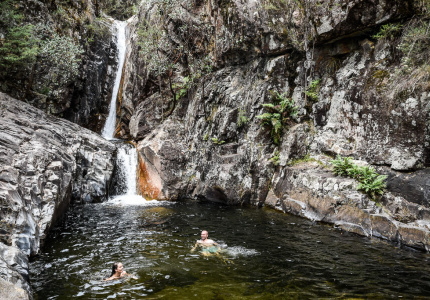 Forty-five minutes drive from Mansfield is the scenic Howqua Hills Historic Area, where you’ll find not only the area’s best riverside camping, but also blissful bushwalks and carefully preserved relics of the gold-mining past. 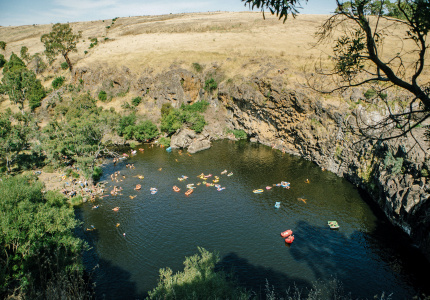 Camping along the Howqua River is a rite of passage for locals, and the secluded Sheepyard Flat campsite, set among the impressive manna gums, provides spacious, grassy flats, fire pits, toilets and a swimming hole right outside your tent door. You can even plonk your camp chairs down in the river to create your own cool water spa. The Howqua River is the traditional land of the Taungurung people, who for thousands of years used the river as a major trade route across the Great Dividing Range and developed quarries to manufacture stone axes, spearheads and cutting tools from Howqua greenstone. The 1.5 kilometre return walk to Fry’s Flat follows an old water race constructed for alluvial gold mining in the 1860s and climbs a few gentle bluffs before returning to the Howqua River. On the far side of the open field of Fry’s Flat stands Fry’s Hut, built by master bushman Fred Fry in the late 1930s. You can step inside the well-preserved hut to learn more and imagine the life of a pioneering bushman. Victoria’s High Country is peppered with heritage huts, relics of the homes of cattlemen and miners, many dating back to the 1800s. So it’s surprising that one of the best-known and most visited is actually much newer, with a completely different story. Craig’s Hut was built as a set for the 1982 film The Man From Snowy River. (Never mind that the Snowy River is actually in New South Wales.) The original hut burned down in the 2006 bushfires and was rebuilt in 2008, meaning the hut you see today is technically a replica of a replica of a High Country cattleman’s hut. To reach the hut, drive up Mount Stirling Road to Telephone Box Junction, then continue for 19 kilometres along Circuit Road (a 2WD accessible dirt road). The car park for Craig’s Hut is signposted, and it’s a relatively easy 1.2 kilometre walk (though the last section climbs steeply) through towering mountain ash trees to the hut. Pack a picnic and soak up the sun on the best front lawn in High Country. A further 10 kilometres along Circuit Road from the Craig’s Hut car park is the start of the short walk to Bindaree Falls. The track climbs steadily up the side of a gully through cool ferns, and the eucalyptus trees overhead provide shade on a hot day. A wooden platform is set into overhanging rock behind the waterfall, providing an intimate view of the stunning cascade. The setting here is about as serene as you can get, with the misty spray soaking the mossy green rocks. There’s something about walking through a barren ski field and seeing the motionless chairlifts sprouting out of the grass that gives you a sense of minor trespass, like you’ve secretly wandered backstage in a theatre unnoticed. 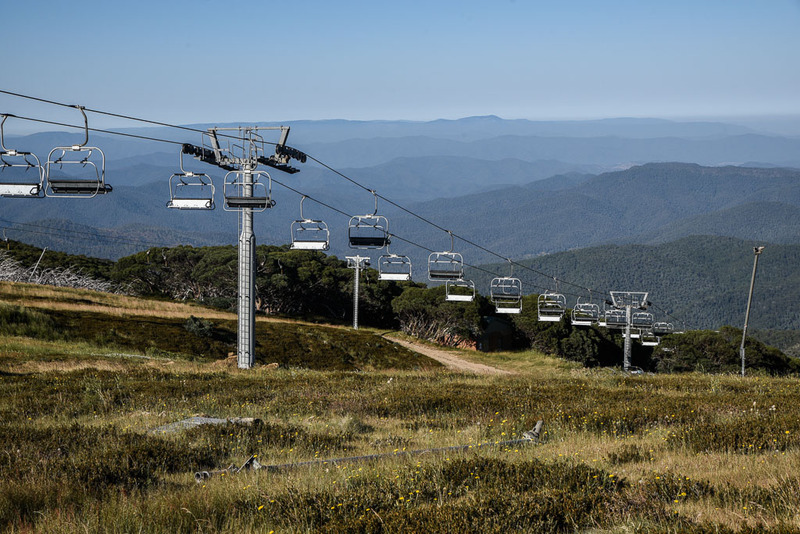 Park the car in Mt Buller village, find the start of the 4.1 kilometre track opposite the Arlberg Hotel, and follow it along the northern slopes through fields of wildflowers and alpine heath. The final climb to the summit branches off the main track at the summit car park (you can also choose to drive part of the way and just climb the summit). It’s a bit of a grunt to the top, but short and worth the effort – the panoramic view is something to behold. Retrace your steps to the summit car park and continue the loop along the Summit Nature Walk as it criss-crosses ski runs and descends through patches of stunted forest and craggy outcrops to the skyline T-bar. All that walking requires fuel. Fortunately, Mansfield has an abundance of great coffee, home-cooked meals and local produce. 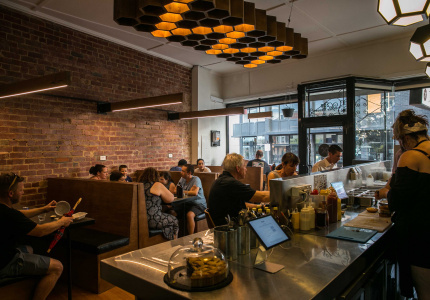 Now in its fifth year of operation, Mansfield Coffee Merchant on Highett Street has become more than just a cafe to the locals, its exceptional coffee complemented with a varied, sophisticated menu that keeps the place pumping well into the evening. 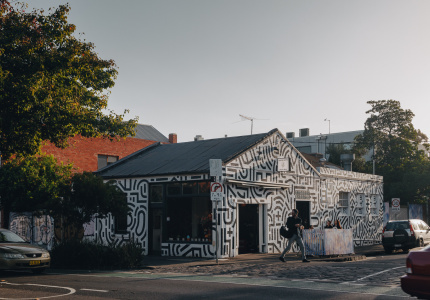 Owner Mat Picone learned the roasting trade in Melbourne before making the ultimate tree-change, setting up a city-style cafe in the country. On a hot day, try the cold drip coffee, infused on-site and available in takeaway bottles. 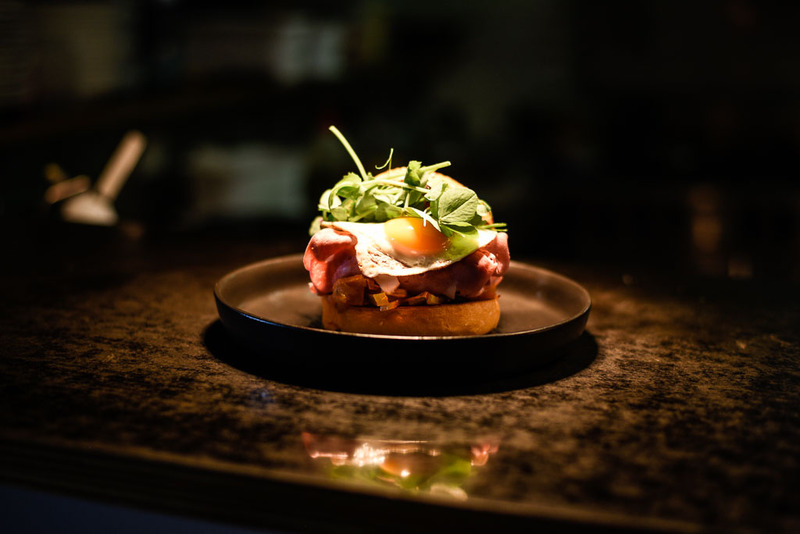 Try the shaved mortadella brioche roll with fried egg and tomato relish; the house-made flatbread with goat curd, garden pea asparagus, soft herbs and poached egg; or the hot smoked Buxton trout with house-made pickles, crème fraîche and poached egg on sourdough. 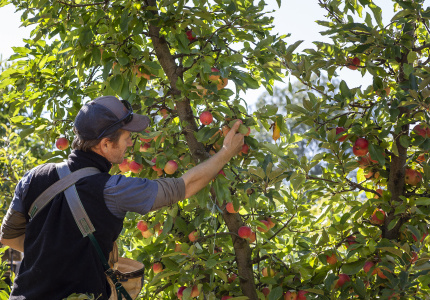 A true farmgate dining experience, Howes Creek Farm is no ordinary restaurant. 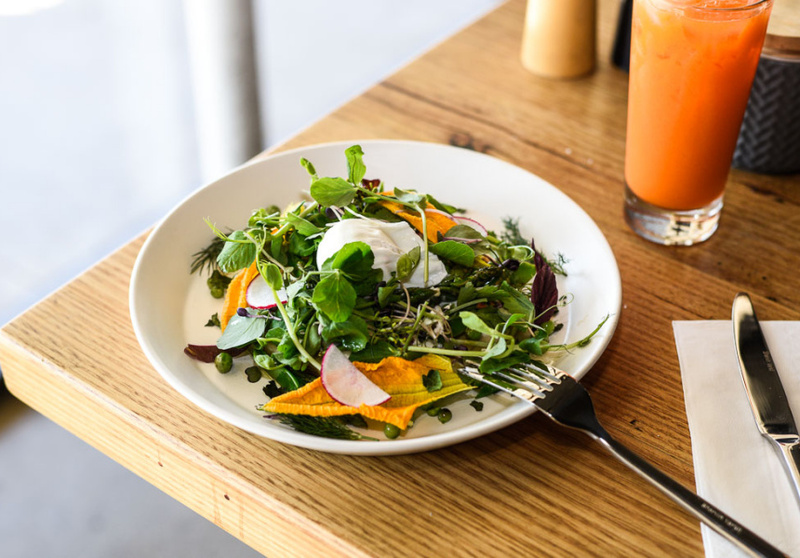 Located on Howes Creek Road, with rustic chairs arranged in a garden-party fashion under an enormous, shady oak tree, there’s no set menu to choose from – rather a selection of house-made treats from owners Jackie and Matt Merchant that vary weekly. Pork features heavily, which is no surprise given that the farmers are long-time Berkshire pig breeders. The pork pie is always a hit, but vegetarian options are also available (ask if the house-made veggie quiche is available). All the dishes are winners, so sit back and enjoy the country air while you wait. Order from an all-local list of drinks, including Wrong Side beers and Kooyonga Creek wine. 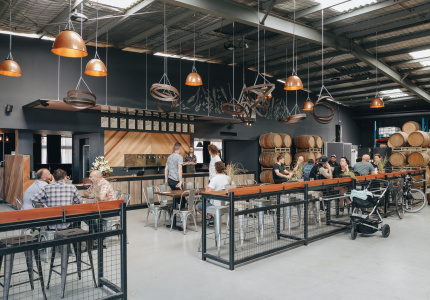 Located on Mt Buller Road on the outskirts of Mansfield, Social Bandit Brewing Co is a 12 hectolirewe brew house run by father-and-son team Jeff and Sam Whyte. Brews include gold medal beers such as Triggered Pale Ale and the Sooky Lala, a sour Berliner with guanabana (a South-American fruit almost as fun to say as it is to drink). There’s also an American IPA and a German-style Hefeweizen. 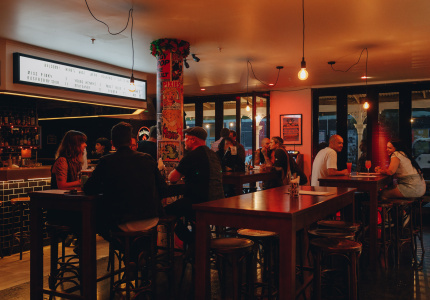 While Mansfield comes alive in the ski season, Social Bandit beers are great during summer, especially when paired with pizza and good tunes at their industrial-chic tap room on Mt Buller Road. You get a ringside seat to the fermenters, tanks and Doctor Who-esque control panel where Jeff and Sam oversee the brewing. Closer to Mt Buller is Delatite Wines, the first cool-climate vineyard in Victoria. When David Ritchie’s parents planted the first vines on the property near the Delatite River in 1968, the local industry was dominated by farming. But the Ritchies’ kicked off wine-making in the area, and the family business continues to grow today. Here they produce natural, bio-dynamic wines, without relying on mass-production techniques or added products. Small batches are key, with the grapevines tended to by hand. Grapes are pressed rather than crushed. There’s a commanding view of Mt Buller from the cellar door, which you can enjoy while tasting the 28 different varieties of wine available. Locally-produced seasonal platters make a great accompaniment – sit at one of the shady tables outside and indulge. 187 Merrijig is a rural escape with a difference – a luxury high country retreat that feels like home. 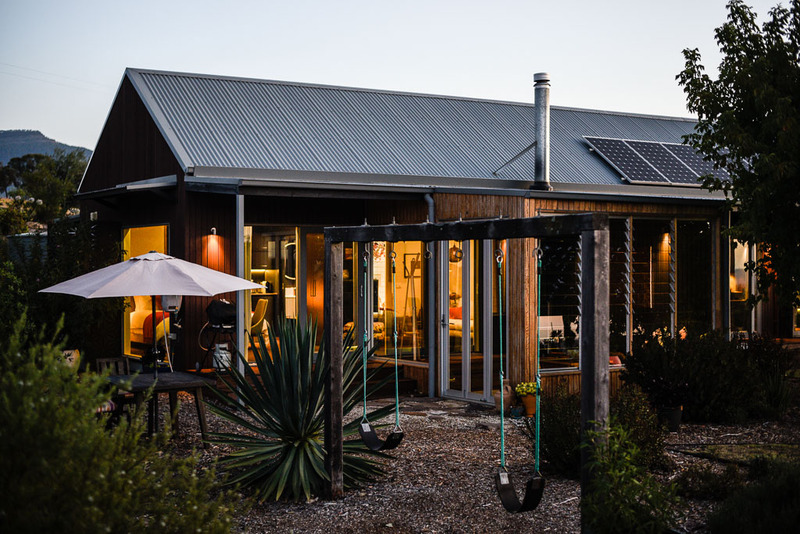 Located 20 kilometres east of Mansfield on the way to Mt Buller, the boutique accommodation is the perfect getaway for couples. The decor is understated and luxurious, with a wood fireplace and a deep, free-standing bath. Work by local artists is on display throughout the accommodation. Enjoy some poolside canapés as you watch the sun set over the Delatite River. 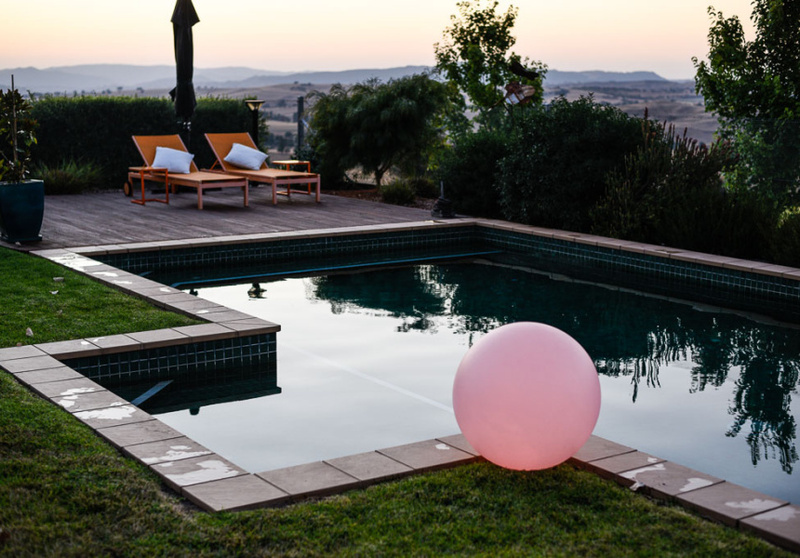 Hosts Ross and Ainsley offer extras such as picnic hampers, gourmet BBQ packs and a cooked breakfast. The property has an abundance of walking tracks and a range of “ornamental” animals such as alpacas, donkeys, miniature ponies and even a three-legged cow. Guests can feed the animals, or just themselves, and sink into country bliss. This article is produced by Broadsheet in partnership with Walk High Country. in partnership with Walk High Country. 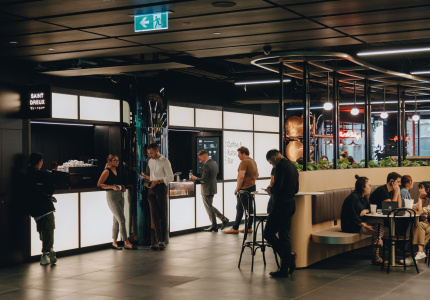 Learn more about partner content on Broadsheet.